Rock the South is without a doubt one of my favourite annual events. I have made this an annual appointment for the past 4 years and I was really excited to be a part of it each time. I love the atmosphere of the venue and, being organised at the best time of the year, the perfect weather compliments the vibe of the event. This, along with the great music, makes it the perfect event to hang out at the Zion Reggae Bar while enjoying a drink with friends. 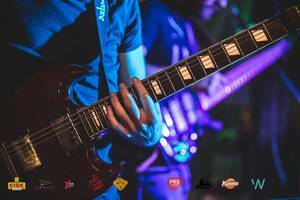 The beauty of this event is that different bands offer their unique and diverse styles in an array of musical performances which complement each other in such a way as to create an extremely wonderful music festival which is easily enjoyed. 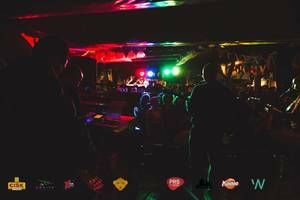 From rock and indie bands in the two stages to reggae and electronic music at the silent disco, there is music for everyone to enjoy. My favourites during this year’s rock thesouth were definitely Brodu and The Ranch. Although very different than each other, I enjoyed their vibe and the positive mood they managed to set up with their performances, which left the crowd head banging or swaying. When I attend these awesome gigs, I feel glad that young people like me enjoy Maltese bands and appreciate local talent. This is a very good platform for all these local artist, especially for the younger or newer musicians and bands who get to showcase their talent at events like this. As I mentioned before, I particularly enjoyed the performance by Brodu. 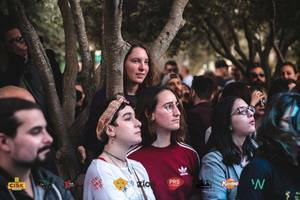 Their sound was very mellow with awesome lyrics in Maltese which gained the attention of the crowd, proving that the Maltese language is still alive in the music sector. I also love the diversity within their own style of music, which always keeps you on your toes expecting more. It was very nice to hear people who knew their songs and were singing along with them and others who danced to their funky tunes. Cryptic Street’s performance was also very interesting due to their feminine energy and their combined musical talent. In the local scene, there are not many girl bands and this is what made them stand out at rock thesouth, being both an inspiration and very good musical personalities. The Ranch definitely succeeded in getting people moving with their energetic instrumental which were complemented by some catchy lyrics. 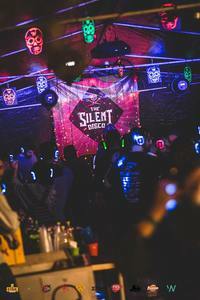 The silent disco is the cherry on the cake of this event. It is a completely different atmosphere than the main stages, where one can choose to listen to Reggae or EDM. It’s an awesome idea which brings together people who like different genres of music. It’s also a modern concept which attracted many people. This event has the right mix of activities, atmosphere and a perfect venue. For anyone who has never attended Rock the South, I think that you’re missing out on an excellent event featuring great established and upcoming local musicians. Check out this wonderful event next year!